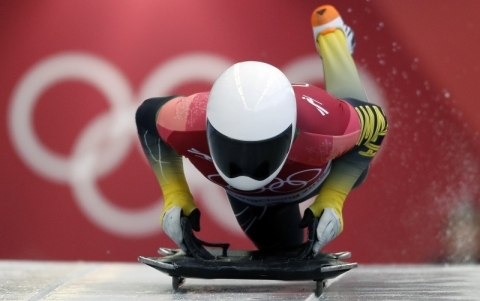 Anthony Watson made Jamaica's debut in the Skeleton event at the Pyeongchang 2018 Winter Olympics. Section from an interview with Anthony Watson by Tom Hamilton, ESPN UK Reporter, February 15, 2018, "Olympic dreams are made in next- to-last and last place, too"
"For Watson motivation stems back a couple of years. 'Today's a really emotional day because it's close to my best friend's birthday,' Watson told ESPN. 'I always wanted to get to an Olympics to race for him because he passed away two years ago. Watson is also motivated by proving doubters wrong. Bullied because of his dyslexia as a youngster, this was as much a message to those who hurt him, as it was to people in similar situations as living proof you can get through it. Watson's father, Basil, was watching on from the stands, but had fate steered a different path, he could have been on Broadway. Watson was offered the part of a hyena in the "Lion King" musical ("It was a case of Broadway versus the Olympics. ... Maybe I'll have a Tony in four years' time") but he opted for the off season camp in Jamaica instead."